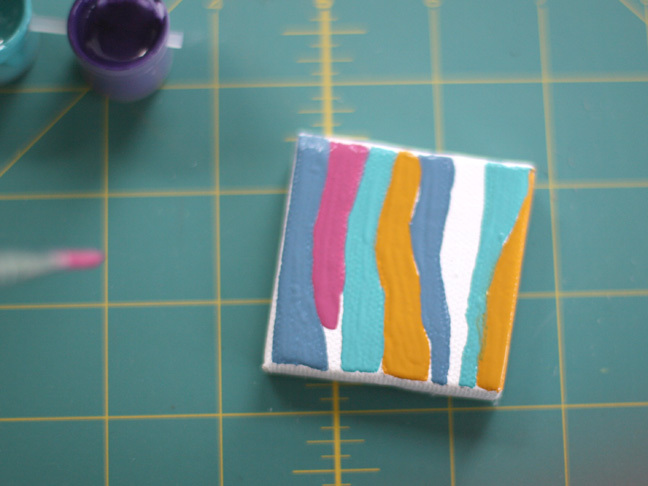 When I spotted these mini canvases I knew I wanted to make something fun with them. You can paint a few yourself and then leave a few for the kids to mess around with. 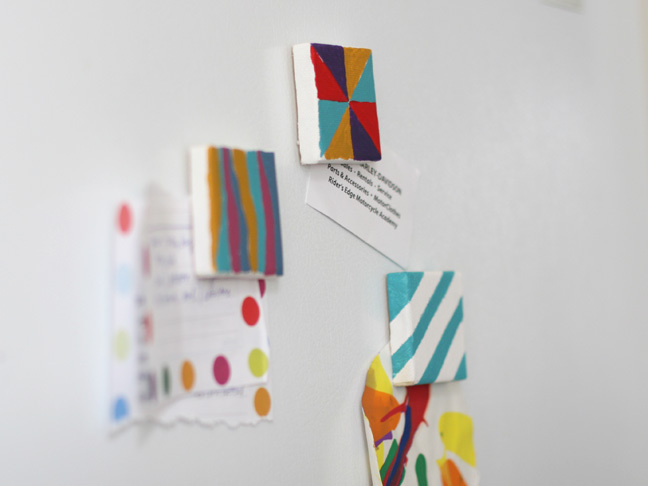 A fun way to display artwork and hold up grocery lists! 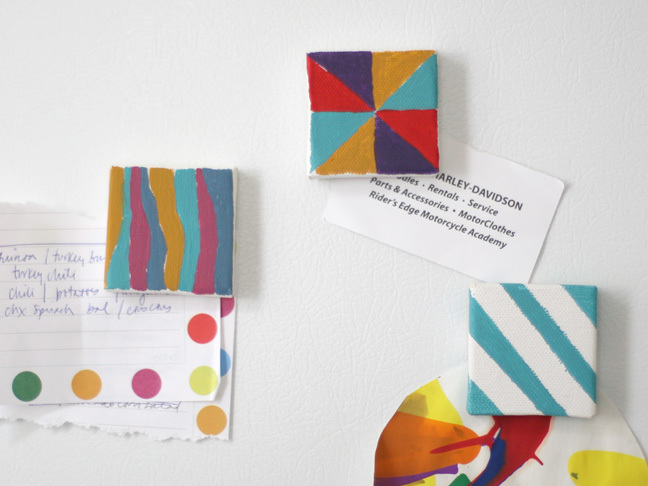 A few simple designs can really dress up an otherwise boring fridge. 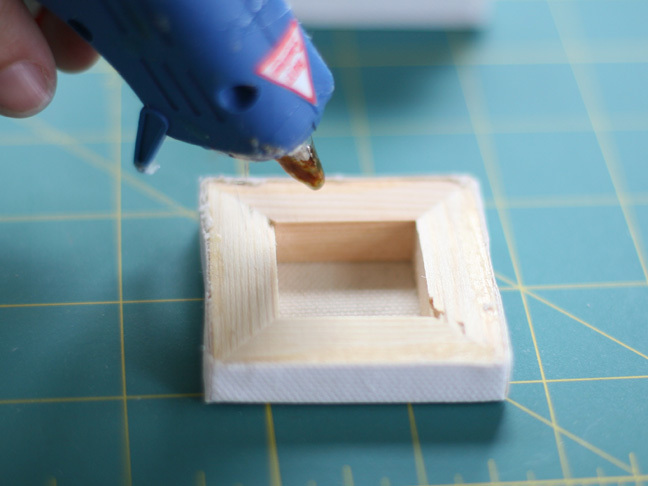 Add a magnet on top of each drop of glue and press firmly. Let dry. 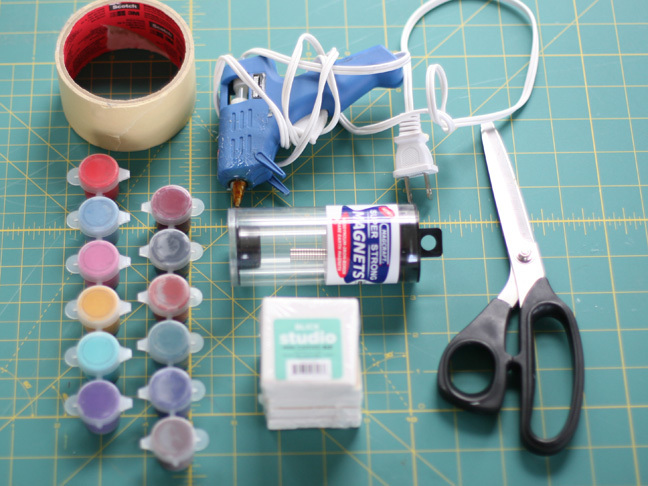 Now you're ready to paint and decorate your canvases. I tried a few things. If you have any artistic talent this will be the most fun part. I, however, do not so I had to use pretty simple geometric shapes to paint. 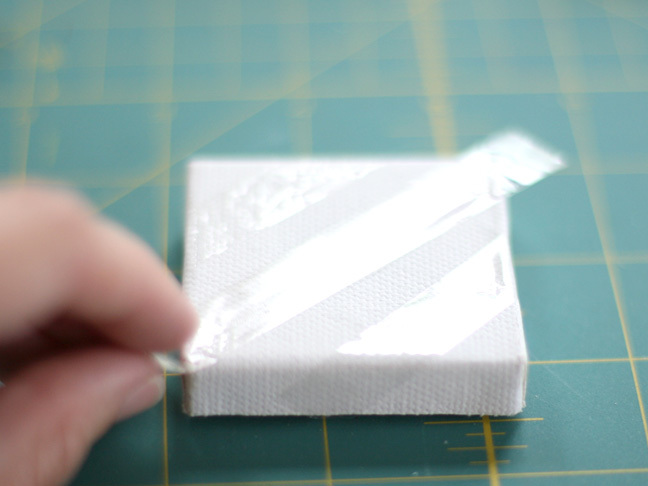 Scotch tape was used to create stripes. 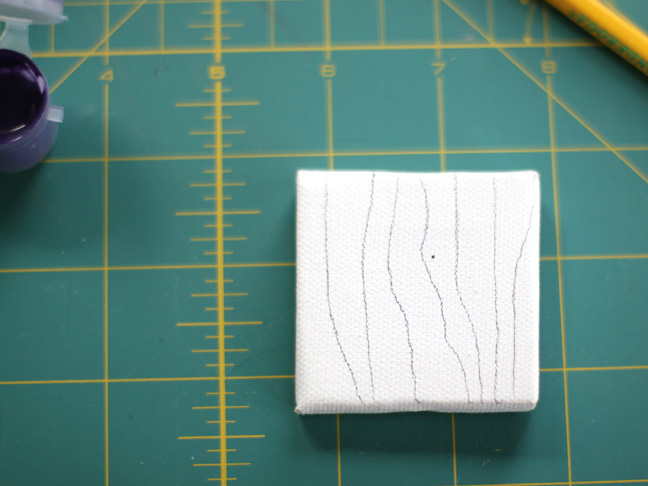 The tape allows you to not need an exact line when you paint. You simply pull it off when it's dry. You can try a lot of different things and I'm sure your kids will have ideas too on how to decorate them! 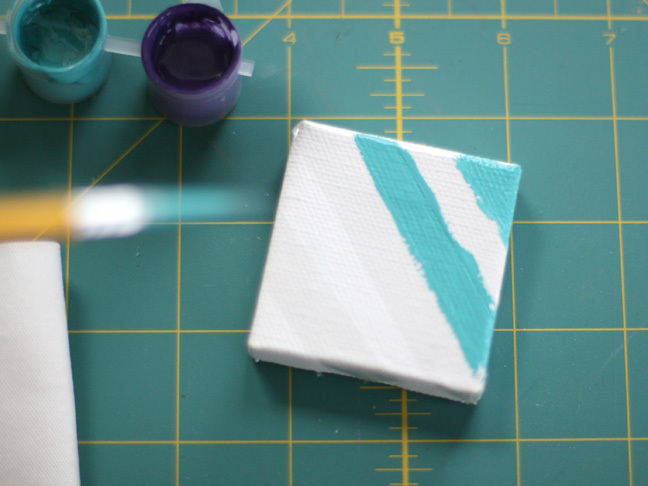 Let your canvases dry for a few hours. 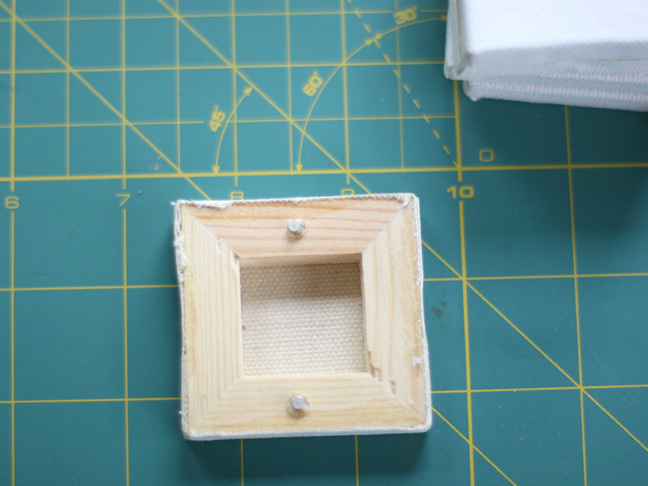 Pull off the tape off if you're using it after it's dry. 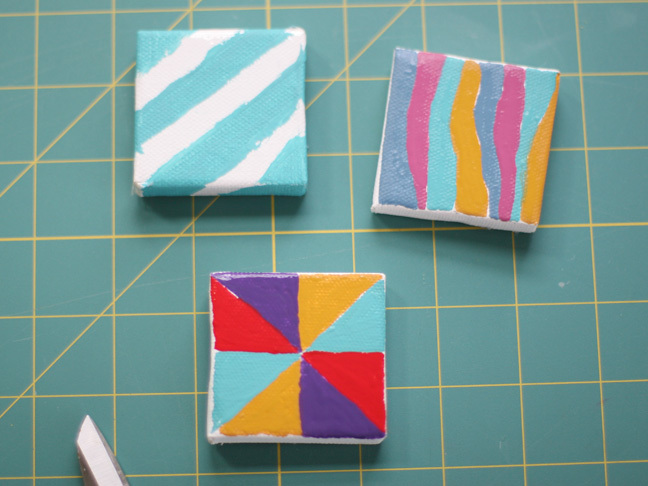 Now you've got some pretty new magnets (and works of art!) on your fridge!